“Today President Obama presented a budget that represents his continued efforts to invest in our economy, strengthen the middle class, and reduce the deficit in a responsible and balanced way through a combination of spending cuts and new revenue. “Overall, the President’s budget is a reflection of his understanding that our country’s greatest challenge is to get our economy fully restarted and creating jobs. His budget invests in our economy by funding important priorities like research and development, education, and infrastructure. “The President knows we won’t create jobs today or enable sustained economic growth without investing in innovation and ensuring our kids receive a quality education. And I am pleased that his budget replaces the sequester, which is already causing harmful cuts to important priorities on the Central Coast and across the country. “He funds basic research at the National Institutes of Health (NIH), ensures our ports are secure, makes sure all our kids come to school ready to learn through programs like Head Start, and guarantees that seniors in need of a good meal can get it through programs like Meals on Wheels. “While I appreciate President Obama’s genuine effort to yet again go the extra mile to find common ground with Republicans in Congress and get Washington working again, I am disappointed that misplaced cuts to our nation’s social safety net are so front and center. “Especially glaring is the President’s inclusion of the Republican plan to cut Social Security benefits by reducing cost of living increases. The use of so-called “chained CPI,” an inaccurate change to the Social Security cost of living formula, would result in benefit cuts for our seniors, persons with disabilities, and our veterans. Mrs. Capps, you used to be a nurse, didn’t you? Opinion? Social Security is only one of MANY financial concerns. Lois Capps questions cuts to Social Security while the feds throw away TRILLIONS in pointless foreign wars and endless “empire building,” as well as 1000 military bases, most of which could be shut down saving TRILLIONS more. Trillions of dollars are missing from the US government. What’s going on? Where is the money? How much more has gone missing? What would happen if a corporation failed to pass an audit like this? Or a taxpayer? Would your banks continue to handle your bank account if you behaved like this? Would your investors continue to buy your securities if you behaved like this? Learn more in the articles below. Please explain, Mrs. Capps, WE AWAIT YOUR ANSWER. Catch that oxymoron and paint it green. Obama is A Zionist tool, along with Congress. He was discovered, groomed, paid for and elected with Zionist money. Rahm Emanual, his owner and manager was nothing but a dancer, yes a guy in tights, but the Zionist loved his wicked personality, and what Zionists loved more than all else, his father was a Israeli terrorist (Irgun). I’m sure Rahmn’s joining the Israeli military (He’s an Israeli in case you…) put the cap on it. You had an israeli soldier in the White house ordering the President to start wars and banking scams. Wall st. gave him a phony position in order to give him millions to empower him in government. He, of course became Obama’s Chief of Staff, Duhhh. He was your actual President. Add Rahm’s best buddy ,the White house top senior advisor, again a Chicago Zionist named Axlerod. These turd’s job was two-fold. (1) Wars and more wars on Israeli enemies (the whole of the Middleast). (2) and when the the banks fail (of course the Zionists knew it was coming, they ARE the Banksters) Obama was to keep his mouth shut and let them fail, then refill their looted coffers with our money, with interest. When cornered, all Barry could come up with was, “..it was legal (after Glass-Segal was snuffed, that is) but it was immoral”. That was it, then….nothing more. Back to the thousand diversions to keep us off topic. Obummer did his dirty deeds, it beat what Kennedy got for not playing along, and as always happens (Zionist Greenspan, Rahm, Axlerod, Bush, etc.) everyone involved is suddenly gone and unavailable for comment. Trillions upon trillions of Americans money, gone. Millions of innocents, dead. Bankers in conrol of world affairs, America stuck with the bill for a military used to obtain their power and position. Not to mention our dead kids who were murdered by these Zionists directly or otherwise. So now we’re are talking about a dinky loss of cost of living increases in SS bennies??? How about the cost the ex-living?? Our dead for nothing kids, and millions of others in the Middleast? That’s THE cause, Not just some White house token planted for your viewing pleasure with Zionist, Wall st. Israeli banking money. Which WAS YOUR MONEY! Nice ladies like Lois, is PTA Mom material. The people in control love tools like her, she would never accuse anyone of the deplorable, it’s cookies and kittens all the way. At some point we either drain the swamp and nail this criminal and murderous infestation in this soon to be one world government or continue being their hitmen and financiers. I know I’m worried for my kids, I’ve written off all the over-educated, hypnotised by media, adults. Wake up, it’s ALL so obvious and waiting to be exposed. It’s a million small diversions like this SS cost of living nothing that keeps people from the real world and the real problem, those mentioned above. I think people are afraid of a knock at the door. Your cowardice now will diminish your kids lives drastically, College isn’t the answer, your courage is. Well, How about exposing it in Blogs. or letters to the Editor in your local newspaper, Opps, tried that, not allowed here. I tried. Another Jewish Senior Editor in charge. Sorry, the “innocent widow” act is LOooooong over with. You are nothing but a DNC hack, who only sticks a small toe in the water of disagreement with your party. So many praises are sung about this terrible president, that when his actions are up in your face you STILL want to praise him, and humbly request of the emperor to rethink his really bad decisions. Too little, too late, Ms. Capps. Your representation is only of the DNC, not of your constituents. Like all true politicians you “support” the easy stuff (vets, elderly, kids, whatever) – you show absolutely NO leadership ability and are just one more data-droid for the DNC to program. You are the Abel Moldanado of the democrat party. They like that about you, though. YES! YES! YES! well stated…She is Pelosi’s pet poodle. You know? sit, fetch, go on tv and say this. Now vote yes here and no there. Good girl. The Mess’ iah strikes again. Come on, get with the Democratic Party line, you are off beat! >>>>We are all in this together! >>>>We all need to share the pain! >>>>We all need to do our share! >>>>We all need to do more! Pay more, pay more, pay more, pay more. If you are sincere, STOP all these studies (what animals think, what gold fish think in China, etc. ), Obama’s parties and concerts at the Executive Manson (correct title that no one wants to use anymore), illegals children crossing the border and going to US schools, how about the Justice Department who spent over $58 million on conferences in 2012 (save some of that money and provide security so e can reopen the “People’s House”), or instead of providing filming privileges to NCIS series at a cost to the taxpayers for $1.5 million we charge NCIS $1.5 for the privilege of using the facilities. You people have no concept or common sense. Get your head out of the sand and do something constructive and honest. Anyone with common sense and sincerity could find money to fund any project in Washington without new taxes. Of course, we don’t have to pay off each other for our votes, or the lobbyist, unions, or special interest groups. No wonder politicians are the scum of the earth. So many people made fun of Vice-President Al Gore when he was running for president in 1999 and mentioned that the SS funds need to be kept in “lock box” that would keep any other agency or department from being able to access those funds. The “problem” with Social Security is that there is a huge amount of “government funds” that the Republicans just cannot wait to get their hands on and would love to turn SS into a means-tested form of welfare assistance that they could then cut cut cut and give out huge amounts to their rich donors in the financial sector on Wall Street. And of course, anything a conservative can do to roll back a successful program of the Roosevelt legacy, so much the better. President Obama needs to learn that he can not “make nice” with conservatives; every time he has tried to reach out and embrace their approach to a situation, they slap his hand back and refuse to vote for the very same proposal they brought up because now he is in favor of it; he needs to stop doing that. Social Security does not need “saving”, it needs to be left alone. To those who make a big deal about the future funding obligations, just remove the “cap” that is currently at $106,800 and require that all income have the same percentage of contribution to the SS funding and any potential funding problems will go away in a heartbeat. Yes, only republicans want to raid funds… ok, bob. Yea I was kind of wondering what color the sky was in Bob’s world. There is plenty of money being put into the Social Security system. The problem arises when the jerks in Congress decided to use the Trust Fund as a bank and looted it with IOUs. Quit stealing from the Trust and SS will be just fine. 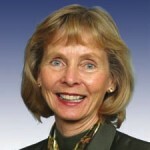 Where was lois capps during the last four years when there was no budget at all? SSI has long needed to be brought into the 21st century, reality is it not sustainable at it’s current rate and almost broke. Current citizens who have paid in for all their working lives and are now at retirement age surely deserve to reclaimall the money they have paid in. Only problem is that the legislature uses SSI and Medicare as their own private account to dip into when they want to cover things they voted to approve but have no other way to fund. Check out the long over due budget that ms capps is touting, see anythingthere about “balanced”, “paid for”, “sustainable” or “not raising taxes” again? Those IOUs are counted as assets of SS. The SS assumes they will be paid in full and despite that assumption, SS will still go broke. The problem has zero to do with IOUs, it’s the fact that there is more going out now and in the future than will be coming in. I have common ground with Lois on this one. The SSI benifits to our seniors are not the problem and punishing those who have contributed is vulgar. Those that sneak into the system with their hands out are the ones that deserve the cuts as well as those who have worked the system to get that SSI check simply by getting the Doc to write a letter. We all know them, that is how prevalant this problem has become and perverts the system. At what point do we cut off SSI benefits to “those that contributed”? If your lifetime contributions equal, say, $250,000, should SSA cut you off when they have written you $250,000 in SSI checks? Of course not. That’s the problem. We’re either living too long, or we’re not contributing enough. People with high salaries are limited as to how much they contribute per year, and then when they retire their ss benefit is reduced according to their other retirement income. However, people who go over their ss alottment still receive benefits. My question is how the addition of 11-20 million illegal immigrants will affect the system as they are often in the low income category. Notice that this is not mentioned and won’t be until the immigration reform bill is passed. Then you’re going to hear a lot about how ss and medicare are in trouble. First, let me say that there appears to be a little confusion over SS Social Security) and SSI (Supplement Security Income). These are two separate programs coming out of the Social Security Fund. Social Security is paid to qualified retiree’s or disabled payee’s and their spouses or dependent or disabled children. SSI is issued to anyone 65 years or older and does not qualify for Social Security, is blind, disabled, has limited income or resources, is a U.S. citizen or national, or in one of certain categories of aliens. According to Social Security website, February 2013, (in thousands) 53,880 are currently receiving SS(Monthly cost is $65,929 million dollars for an average payment of $1,155.36), and 5,514 are currently receiving SSI (Monthly cost is $4,612 million dollars). No one really is talking about the disability payments involved under this program. Social Security pays SS Disability benefits to 10,914,000 recipients and SSI is another 5,514,000. Let’s see, 10-15 million illegal immigrants coming on board for Medical Care, Supplement Security Income, food stamps, housing, schooling, cell phones, computers, etc. Now we all know why we need to pay more and more taxes. Thank you for a post with FACTS. My post above was conceptual (at best), and I am glad to see a fact-based opinion. In the end, Marxists/Progressives believe that everyone is entitled to “share” in everything, thus creating a utopia. So many “learned” professorial types have written about it, that we’re several generations into the “they are right and it will work!” phase – regardless of every single time in history where it’s failed. Just forget all that. THIS time will be better. It really is a disorder of the mind, when looked at from afar. The very first Social Security recipient, Ida Mae Fuller of Vermont, paid just $44 in Social Security taxes, but the long-lived Mrs. Fuller collected $20,993 in benefits. Gotta love Ponzi schemes when you’re first in.